In April 2019, the 50th Annual New Orleans Jazz & Heritage Festival will ring in a half century of music and culture being celebrated at one of the world’s largest events of its kind. 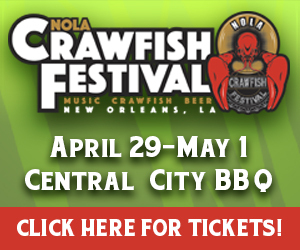 Once again, Jazz Fest will take place over two weekends, though this year, both kick off on Thursdays: April 25 – 28 and May 2 – 5, 2019. According to a press release, the milestone will also be marked with the addition of “Locals Thursday,” “which allows anyone with a valid Louisiana ID to purchase up to two discount tickets at the gate on that day.” Furthermore, “Locals Thursday” discount tickets will again be only $50. Also in acknowledgment of Jazz Fest’s 50th, attendees can look forward to seeing footage from the first Jazz Fest, images of Festival favorites through the years and much more” and are encouraged to seek out #JazzFest50 social media posts. The 50th Annual New Orleans Jazz & Heritage Festival is sponsored by Shell and will announce its lineup in December. Organizers are currently accepting applications from vendors looking to sell their crafts at Jazz Fest next year. 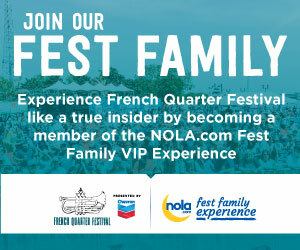 For more information, visit the official website for Jazz Fest.